When will be Chosen next episode air date? Is Chosen renewed or cancelled? Where to countdown Chosen air dates? 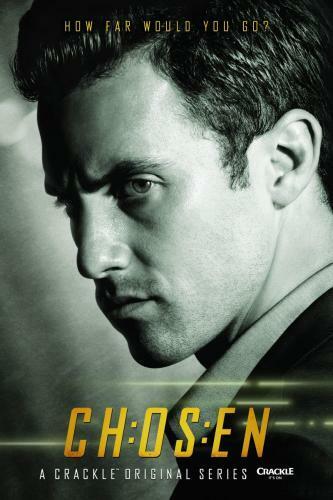 Is Chosen worth watching? Jacob Orr protects Ellie, and the Acosta family are introduced in the Season 3 opener. As the Acosta family prepare for battle, Josie fights to keep her family together. In their own home, the Acostas battle a pack of Hunters. Meanwhile, the Mitchells are told about a way out of the game. A friend of Alex's unwittingly enters the game; Jacob discovers a possible way out. Jacob meets his next target; the Acostas come out of the panic room. Jacob stalks targets from the Black Box; Josie and Shondra debate their standoff with devastating consequences. Chosen next episode air date provides TVMaze for you. EpisoDate.com is your TV show guide to Countdown Chosen Episode Air Dates and to stay in touch with Chosen next episode Air Date and your others favorite TV Shows. Add the shows you like to a "Watchlist" and let the site take it from there.